Several stories are associated with Holi in Hindu scriptures but the colours to play Holi festival only find its origin in the trees and flowers in spring season. Earlier, colors were made from natural products. In fact, all the colors used in various Hindu celebrations, art forms and paintings were made using natural products. Lord Krishna played Holi using the Tesu flowers which are found in abundance during the season. Today, we use highly toxic chemical substances to make colours during Holi. Some of these chemicals are purely meant for industrial use. But often the customer is cheated into buying these cheap colors. Most people are also unaware of the components used to make these colors. To make a quick money some manufacturers are seen to adulterate the colours with diesel, chromium iodine, engine oil, copper sulphate, and glass powder (to add sheen), which is known to cause nausea, headache, breathlessness among other ailments. The chemical colors are mainly available as paste, powder and watercolor. They are mainly made up of chemicals and heavy metals. Asbetos and silica normally form the base for these colors. Some of the other components used in making the colors like chromium, lead, and mercury are highly harmful. The chemical colors can cause itching, rashes, allergies and breathing difficulties. People who are allergic to certain substances might find it difficult to breath and stop the itching. It is also very hard to remove some chemical colors from the skin. In some rare cases, they enter into the body through the skin. Sometimes these colours accidentally enter into eyes and cause reddening and itching. 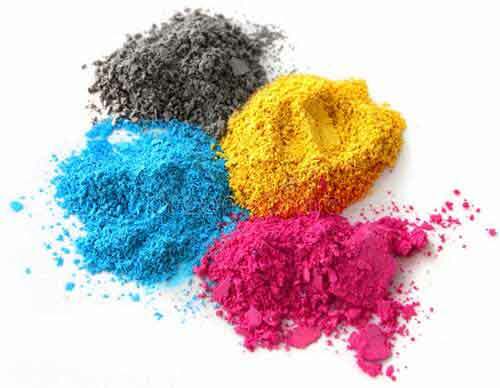 An easy method employed to produce Holi colors in large scale is to mix colored powder with soft stone dust. You must be aware what happens when stone dust gets into your eyes. Things to remember while buying colors during Holi? Carefully read the instructions on the color packet. Some brands specify that the color is for industrial use. Avoid them. If you examine the color powder carefully you can see glass powder avoid such colors. If you are opting for non-packaged color, buy from a reputed shop. Today, there are several branded natural colours. And the best option is to go for the natural colours. Before buying colours take the advice of friends and relatives as they might give valuable advice on from where to purchase and which brand. If you have time and patience, you can make natural Holi colours at home. Why do we light fires during Holi?